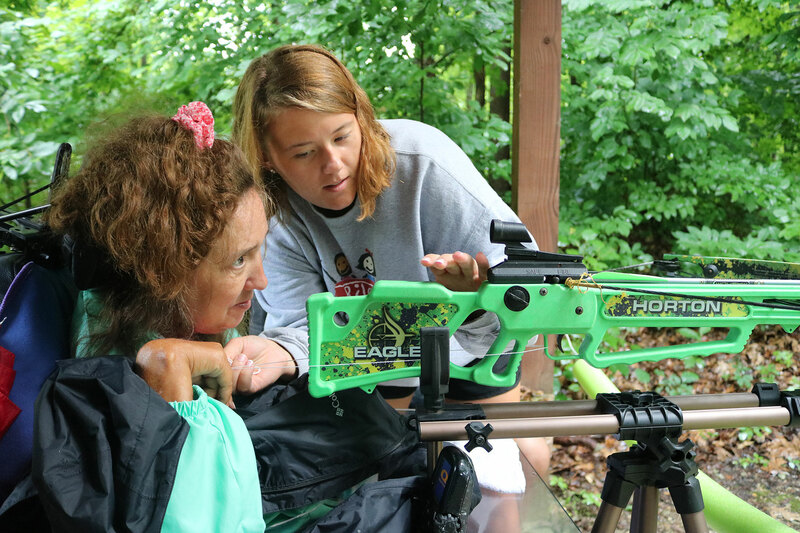 Bradford Woods has been running weekend and week-long programs for Adults with disabilities and medical conditions for decades. Our camps are highly valued by staff and participants alike for providing exceptional programs, accessible facilities, and a community where campers learn from one another. At Adult Camp, we will push boundaries, promote new friendships, encourage mentorship, build confidence, and of course have a load of fun! The following will outline information on the application system as well as some additional forms we still require. Please read carefully as some of the points below are key in allowing you to complete the application and cause less trouble when filling it out. A camper will not be accepted until all forms are complete. Any application submitted without the signed physician release form (link at right) will be considered incomplete, you will be notified, and your application will be put on hold until the form is received. Please do not submit your application until ALL SECTIONS have been completed. Applications are due April 19th!